What’s in store for 2018? We’ve highlighted five trends we expect to see in the coming year. We hope this summary helps keep a pulse on what’s new and inspires you to further explore these and other emerging trends. The potential scale of risk to assets is generating growing global investor concern and driving demands that climate change risks be assessed and disclosed in a measurable and consistent way. 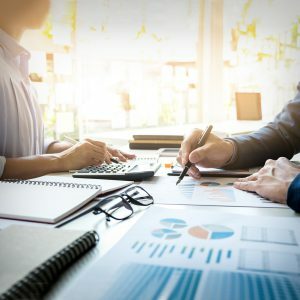 Increasingly, some of the largest investment houses in the world – including Vanguard, Blackrock and State Street – are setting policies to support shareholder demands for greater transparency. 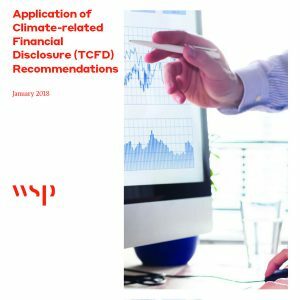 In June 2017, the Taskforce on Climate-related Financial Disclosures (TCFD) issued recommendations for reporting on the financial risks from climate change. The recommendations guide organizations to look at both physical risks (e.g., wildfires, sea-level rise and extreme storm events) and transitional risks (e.g., changes to policy, markets, technology and reputations). In response to these recommendations, CDP has added new questions to its climate change survey asking organizations to provide additional detail on risk management and the financial implications of reported risks. Over 20 organizations have pledged to implement the TCFD’s recommendations since its release and with the updates to CDP, we expect to see this number jump significantly by the end of 2018. The human dimension of green buildings has gained attention in recent years. However, financial, technical and operational barriers have prevented widespread adoption of a health and wellness focus in building design and management. The U.S. Centers for Disease Control and prevention (CDC) developed a new building benchmarking, certification and rating system called Fitwel in 2015 to address these barriers. The tool is designed to be easy-to-use and cost effective. Significant, ongoing research and pilot-testing is informing the recommendations and requirements associated with Fitwel. As awareness and adoption of this tool grows we expect to see an uptick in the number of companies focusing on health and wellness for design and operation. After three years of extraordinary drought, Cape Town, South Africa is expected to run its reservoir dry sometime in 2018, with current estimates slated for late April. Severe drought in areas like South Africa, Southern Europe and California in recent years has driven the importance of water stewardship. More than ever, organizations are monitoring and reporting water consumption and some are setting internal prices on water similar to carbon pricing that manages GHG emissions. Additionally, the purview of the energy-water nexus is expanding from a focus on water-intensive versus energy-intensive options to address the water intensity of available energy sources. In 2018, we expect to see more discussion about the water embedded in the production of electricity. We also expect an increase in the number of companies setting a price on water to clarify the true value of this resource. With the number of organizations committing to source some or all electricity from renewable sources continuing to rise, traditional utilities are looking to get in on the action. Green tariffs, sold through utilities, allow customers to purchase renewable energy credits (RECs) that are bundled with their electricity purchase. Such programs can offer affordability and price consistency. In many U.S. electricity markets, green tariffs are the only option to purchase bundled renewable energy attributes. To date, almost 900 MW of electricity has been contracted through green tariffs. In 2018, we expect this number to grow significantly. Many first heard of blockchain through Bitcoin, a cryptocurrency with explosive popularity in 2017. Bitcoin along with other cryptocurrencies have been criticized for the significant energy required to power the ‘mining’ or verification of these currencies. However, blockchain technology also has the potential to improve energy management and supply chain transparency. Blockchain is an encrypted, decentralized ledger that can track anything from groceries to electricity usage. Early adopters of blockchain include Siemens and Walmart. Siemens is testing blockchain’s capabilities for small, instantaneous energy trades across microgrids that would increase flexibility for meeting real-time energy demands and could improve grid resiliency during outages or when supply is reduced. Walmart, alongside several other major retailers and food companies, is using blockchain to improve data management and transparency for agricultural and food products. This technology has the potential to instantly trace food-borne illness or provide consumers additional insight into the path their food took en route to the dinner table. In 2018, we expect to see increased adoption of blockchain to improve energy trading and supply chain transparency.